Dr. Jayesh Panchal now offers FDA-approved Smartlipo™, the breakthrough laser technology for smoother, tighter skin. This advanced liposuction technique helps to ensure complete removal of fat from the treatment area and may even help reduce risks for complications, shorten recovery time, and improve the body’s response to fat removal. If you are interested in learning more, please call Genesis Plastic Surgery & Medical Spa at 405-340-9949 to schedule your initial consultation with Dr. Panchal. We maintain offices in Edmond and Norman to help us meet the needs of men and women living throughout the region. Am I a Good Smartlipo Candidate? Why Choose Genesis Plastic Surgery & Medical Spa? Smartlipo is an advanced liposuction technique that uses laser energy to emulsify stubborn fat deposits for greater ease of removal. This technique helps to reduce the amount of force needed to remove fat from the body, allowing for a smaller incision and significantly less trauma to surrounding tissue than what could be expected with traditional liposuction. What’s more, the heat from the laser encourages skin shrinkage following fat removal, helping to produce optimal contours in the long-term. Smartlipo is specifically advantageous for patients who have had bariatric surgery (weight loss surgery). It can decrease chafing from excess skin and further enhance your figure by contouring your body shape. However, this treatment is suitable for many of our patients and offers a good alternative to traditional liposuction techniques. 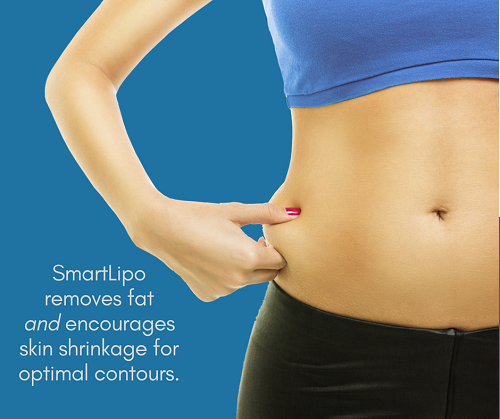 Smartlipo can be used on nearly any area of the body impacted by stubborn fat deposits. If your fat deposits are accompanied by loose and sagging skin, Smartlipo may provide a more effective solution for your needs. However, if excess skin in the treatment area is significant, a lift procedure, such as a tumy tuck, may be more effective. Dr. Panchal is a board-certified plastic surgeon with over 20 years of experience. During your initial consultation, he will listen to your concerns, assess your problem areas, and guide you toward the most effective solution for your needs. Having realistic expectations is important. Smartlipo can remove stubborn fat from targeted areas of your body, but it is not a cure-all for physical dissatisfaction. During your initial consultation, we can use 3D Crisalix OCULUS virtual technology to help you decide if Smartlipo will meet your needs. Using virtual reality glasses, you will be able to “see” how Smartlipo will change your overall appearance, enabling you to make the decision you feel is best for your body. The laser technology utilized by Smartlipo allows for a smaller incision in the treatment area. This helps reduce the risk for visible scarring. In many cases, the incision can be hidden entirely. To further reduce trauma, Smartlipo liquifies fat cells prior to their removal, eliminating the need to manually break these deposits apart. This, in turn, reduces trauma to surrounding muscle and protects blood vessels, helping to reduce bruising, swelling, and discomfort during the short recovery period. Because Smartlipo is less traumatic, recovery is much shorter than with traditional liposuction. In fact, most people are able to return to work within just a few short days and to resume more demanding activities within four weeks. Dr. Panchal will help you determine when it is safe to resume specific activities during your follow-up visits. In addition to being less traumatic, Smartlipo helps improve final results by encouraging skin to shrink. During the recovery process, your skin will begin to tighten and conform to your new contours, helping to produce a nicely defined and attractive final appearance. It should be noted that Smartlipo cannot be used to perform large area or large volume liposuction, especially in obese individuals. Traditional or power-assisted liposuction is typically more effective in these cases. Smartlipo results may take up to six weeks to be fully realized. During this time you may experience some swelling, minimal bruising, and slight discomfort. Compression garments, over the counter analgesics, and frequent walks during your recovery phase will help speed this process. Results from Smartlipo are permanent, which is to say your fat will not “grow back.” However, failure to care for your body will allow new fat to accumulate and can, over time, effectively undo your results. Exercise regularly: adults need at least 75 minutes of aerobic exercise weekly. To maintain a toned and attractive frame after Smartlipo, it may be best to aim for 150 minutes of aerobic activity. At least two sessions of strengthening exercises should be performed weekly as well. Three to four if you are looking to enhance your Smartlipo results. Eat well: processed foods, foods with added sugar, simple carbs, and most everything that comes in a box can quickly undo your Smartlipo results. Choose whole foods that are as close to their source as possible. Opt for lean proteins, complex carbs, and raw fruits and vegetables. When setting out to change eating patterns or exercise habits, start smart. Being overly ambitious can sabotage results. If you struggle with these things, work with a licensed nutritionist and choose a personal trainer, yoga teacher, or fitness instructor you feel comfortable with, and commit to leading a lifestyle that promotes optimal physical health. At Genesis Plastic Surgery & Medical Spa, we work with Prosper Healthcare Lending and CareCredit to provide financing for Smartlipo. Both of these companies offer promotional financing options along with reasonable terms to help make plastic surgery affordable. If you would like more information about financing your procedure, we can provide that for you during your initial consultation. Dr. Jayesh Panchal is a board-certified plastic surgeon who is dedicated to patient safety and satisfaction. In practice since 1997, Dr. Panchal utilizes the latest technology and techniques, helping to produce ideal results with minimal risk. To further reduce risks, our procedures are performed in an accredited surgical facility were highly trained medical staff are on hand to respond to patine needs - and every care is taken before, during, and after each procedure to help ensure comfort. During your initial consultation, we can answer any questions you may have about our practice, our procedures, and our standards of patient care to help you determine if we are a good fit for your needs. 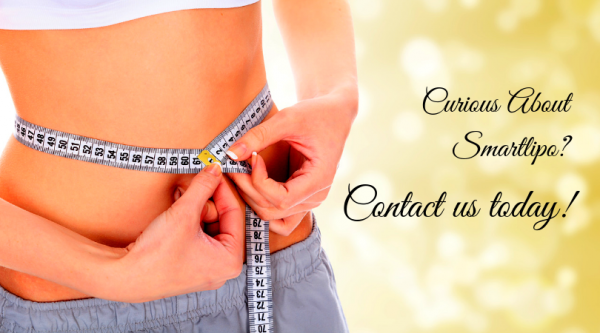 If you are ready to schedule your Smartlipo consultation, please call our Edmond office at 405-340-9949 today. For a consultation in Norman, call 405-310-6767. We welcome patients from Oklahoma City and all surrounding areas.